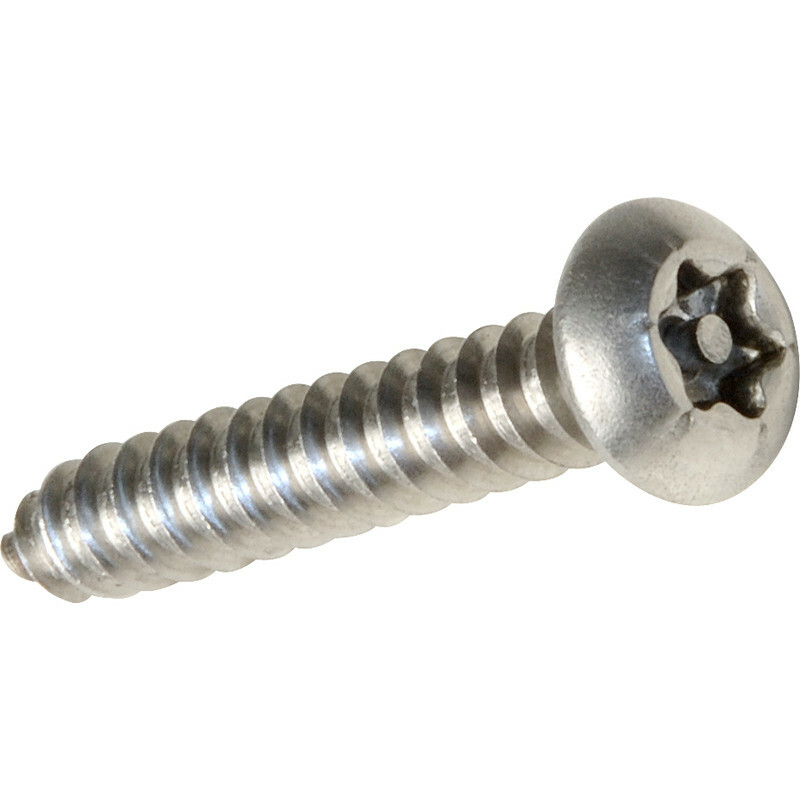 Stainless Steel Star Self Tapping Screw 10 x 1 1/2" Pin Button (10 Pack) is rated 4.0 out of 5 by 5. Rated 4 out of 5 by BennyE from Great features. Does the job. No more rusty screw on outdoor wall lights. Bonus security too. Rated 5 out of 5 by PlasmaDan from Great Security Screws I use these screws a lot for gates, sheds, outbuildings ect. They add an extra layer of security, they look the part, and they stay that way thanks to them being A2 stainless. My only gripe is they're only available in packs of 10. I would prefer them in boxes of 100. Rated 1 out of 5 by devonald from Very poor quality product I bought these screws to attach a steel plate to a rear door. Vey quickly found the metal used in manufacturing of this product was of very poor quality. Had to travel to alternate supplier to buy product that worked.